It’s not often I get to cook breakfast for all three of us. With the husband’s schedule and my need for three cups of coffee before I’m fully functional, most days Landon and I have oatmeal or Kashi waffles. This weekend though, the husband has THREE WHOLE DAYS off. I decided to make some cinnamon rolls last night, leave them in the fridge, let them rise in the morning, and then bake them off. Well… I made the rolls. I left them in the fridge. And they didn’t want to rise this morning. I blame my refrigerator. It likes to freeze things occasionally and I think my rolls were the recipient of it’s little prank today. I ended up turning the oven on for a few minutes, turning it off, and then putting the rolls in and they rose perfectly. I’m not a cinnamon roll person. 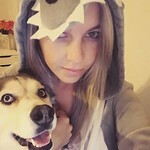 I think they’re one of those things that you either love or you couldn’t care less about. I used the “Clone of a Cinnabon” recipe from AllRecipes but I don’t think I’ve ever had a Cinnabon so I can’t tell you how much like the original they really are. But they were good. Much better than any cinnamon roll I’ve ever had. When I Grow Up, Iâ€™m Going To Be a Cinnabon. Dissolve yeast in warm milk in a large mixing bowl. Mix in sugar, margarine, salt and eggs. Add flour slowly until combined. Knead dough until smooth and elastic. Place dough in a large greased bowl, cover, and let rise until doubled in size. Once dough has doubled in size, combine brown sugar and cinnamon in a small bowl. Set aside. Bake rolls in preheated oven for 20 minutes or until golden brown. While rolls are baking combine butter, cream cheese, powdered sugar, vanilla, and salt. 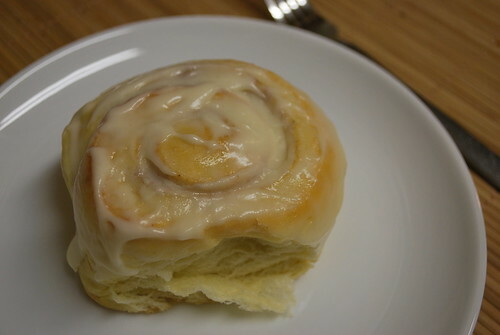 Spread frosting oven warm rolls before serving. 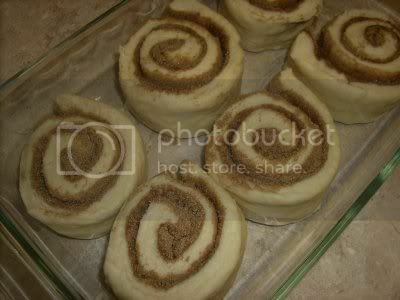 5 Responses to "Cinnamon Rolls"
Mmmm….I love these and I have tried this recipe and they taste just like the real thing. I think I’m going to make these for breakfast Sunday. My husband LOVES Cinnabon. I’m planning to make these this weekend. 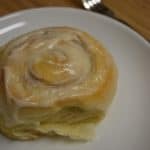 I’ve tried a couple different cinnamon roll recipes none of which turned out so I’m keeping my fingers crossed! please tell me you have had a cinnabon at this point.